Bund Gates and containment gates are required at access and egress points around storage tanks or drum storage areas. these can be located on petrochemical sites or even renewable energy sites where flammable, toxic or harmful liquids or materials are held. 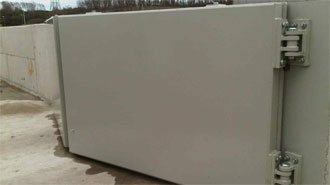 These are normally constructed from steel reinforced concrete or even earth dikes (usually for very large tanks). 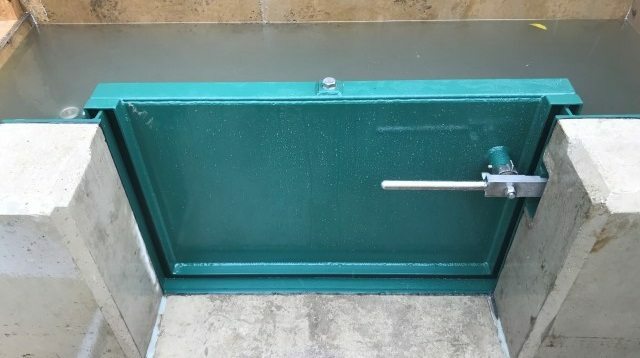 Bund gates should be sized to hold 110% of the maximum capacity of the largest tank or drum, this allows room within the tanks for emergency response liquids. There is guidance available to assist owners and operators of bund and containment facilities ( Containment systems for prevention of pollution) (C736) and a download of the guidance available here.. 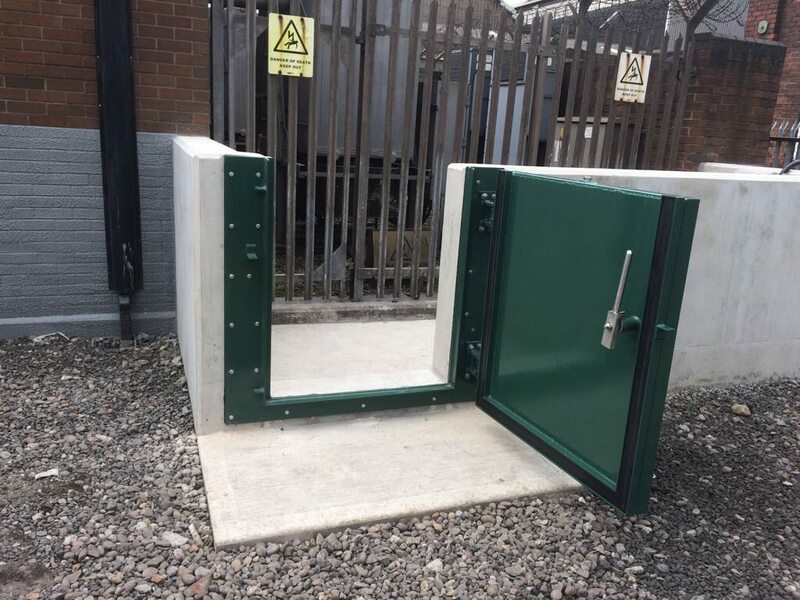 The MME oil bund and containment gates follow most of the same design principles as our flood gates, the only differences being the type of specialist seal required to withstand the chemical properties of the liquid being contained and the extra dynamic forces from a catastrophic tank failure..
We offer these gates in a double or single swing gate option and can be made bespoke to suit the sites surroundings, they are easily operated by one person. We use a number of different sealing types from Nitrile rubber to Viton and have extra sealing guards for lasting fire protection. would be subject to force from the liquid spilled. We provide a comprehensive set of calculations to take account of the dynamic effects of the liquid; 250mm is added to the height of the retained substance as per Ciria report C736.. 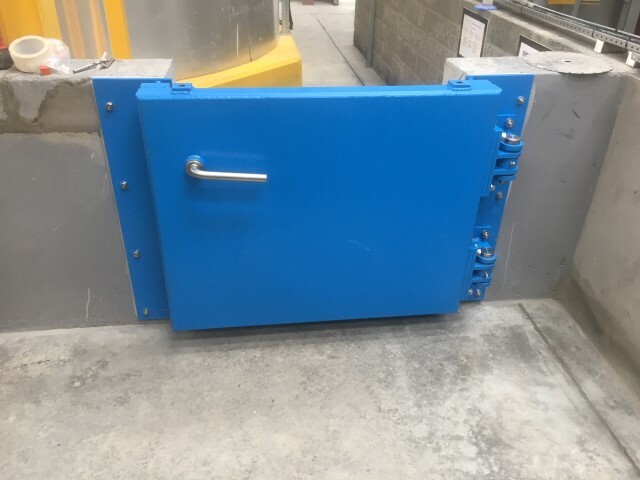 The steel structure of our containment gates will be checked to resist the loading as well as the various components of the hinge connection. 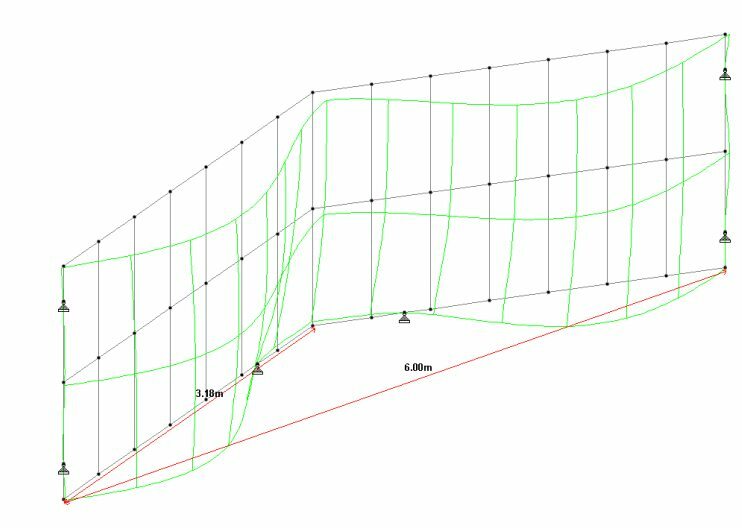 The ‘arch’ effect can be seen below; this figure comes from modelling the gate on design software, STAAD Pro. The lateral load due to flooding liquid acts on the structure and the deflection of the gate is shown. (Note the deflection is exaggerated by a scale of 100). The max deflection is equal to 6.27mm at the centre of a single leaf..
Chemical shipping and storage ports. Get in touch. If you’d like to talk to one of our team about your bund containment project. 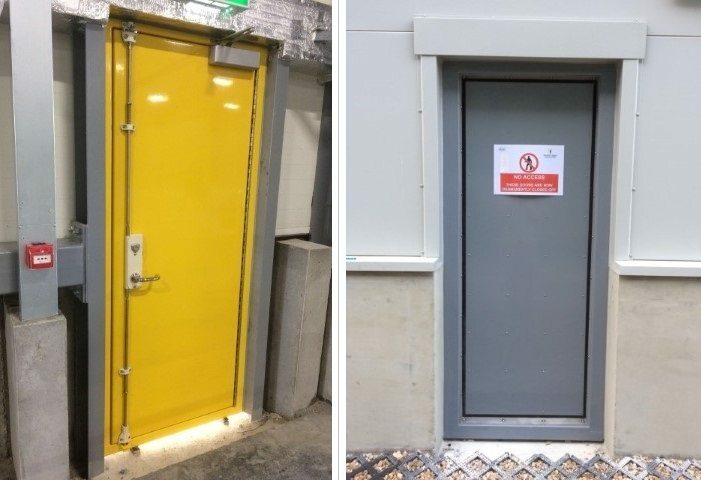 MME were commissioned by a new customer to design a fire and flood door needed for a unique and challeging problem. MME have installed defences on utility sites all over the country. 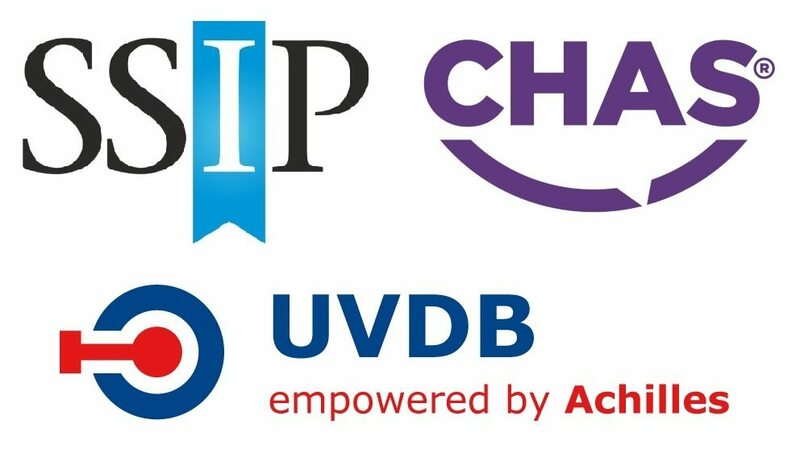 Our products have been tested on-site and provide the highest level of protection. A civil engineering firm required the supply and install of a 4m wide double leaf bund containment gate to be fitted within the bund wall of oil tank at a refinery. MMEngineering were awarded a flood-glazing and flood gate contract as part of the £3.8m Tidal Defence Scheme on the southern side of the Teign Estuary. © MM Engineered Solutions Limited 2019. All rights reserved.